The broader Old South neighbourhood near the centre of London, On is encompassed by Wharncliffe Road to the West, Commissioners Road to the South, Emery and Wellington to the East and the Thames River to the North. The jewel of Old South can be found in Wortley Village. Named Canada’s Best Neighbourhood in a 2013 , the proud residents of Wortley Village would tell you it was about time it received recognition. An eclectic mix of century-old houses, coffee shops,retailers, bars, and new condo developments offer you one of the most sought after neighbourhoods in the city. It is an easy walk to downtown and all that it has to offer. 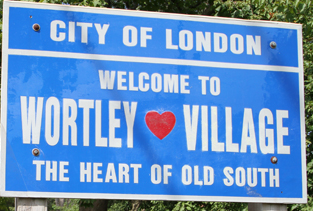 Living in Wortley Village is a lifestyle choice.